ATLANTA— Emory University has received a gift of $2 million naming the Wilton D. Looney Carlyle Fraser Heart Center Medical Directorship at Emory University Hospital Midtown. The gift, in honor of Mr. Looney, who passed away in May 2018, was made by Rollins, Inc., RPC, Inc., Marine Products Corporation, and Rollins family members. He was a director on all three Rollins’ company boards, beginning his service on the Rollins, Inc. board in 1975 and retiring from all three boards in 2013. The gift establishes a fund to name and support the directorship of the Carlyle Fraser Heart Center and its research efforts and to enhance the Looney Director’s strategic vision for the center. Robert A. Guyton, MD, professor of surgery in Emory University School of Medicine, is currently director of the Carlyle Fraser Heart Center. Wilton Looney was a guiding force in the establishment of the Carlyle Fraser Heart Center in 1976, located at what is now Emory University Hospital Midtown. The center is one of the leading centers for cardiac referrals, diagnosis, treatment and research in the Southeast and has developed a reputation nationally for excellence in cardiac care. The center was originally established as the result of a generous gift from Carlyle Fraser’s wife, Isabel Fraser. Carlyle Fraser, the founder of the Genuine Parts Company, died in 1961. 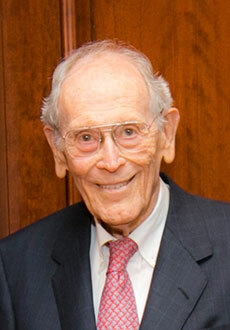 Wilton Looney succeeded Mr. Fraser as CEO and served as the Genuine Parts Company’s honorary chair until his death this year. The Fraser family and the Rollins family have honored Wilton Looney and his wife, Martha, over the years through generous support for the Carlyle Fraser Heart Center and cardiovascular research at Emory. In 1987, Martha West Looney was honored by a $1 million gift from Isabel Fraser in honor of June and Dr. Linton Bishop, the center’s first director. The Wilton Looney Chair of Cardiovascular Research in the Rollins School of Public Health was funded in 2013 by a $2 million gift from the Rollins family to honor Looney for his efforts to advance the study of cardiovascular disease.